Gasket bodies are made from steel sheet and covered in graphite composite material with aircraft stainless combustion rings. Applications: 2003-2008 Ford F-Series pickup, Van, and Excursion with 6.0L Power Stroke diesel. Stud Update: We have tested these gaskets with ARP head studs and found no extra sealing performance gain over factory bolts and our gaskets. If used, ARP installation instructions must be followed. Stacking of boxes will also fail the gasket. This means using an in-line programmer along with programming the factory PCM. This is due to the extreme timing advance that is produced by both modifications. Warranty: There is no warranty with this product, if the kit fails it is due to installation error or operator error. If you have more than 500 BHP or stack boxes the gaskets will fail. We have hundreds of hours of testing and they do not fail when used in the manner which they are designed. Includes 2 gasket bodies, 8 rings, gasket spray, and Do-it-yourself installation instructions. Are you running compound turbos and big injectors and keep blowing head gaskets? 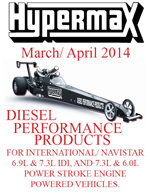 The Hypermax Competition head gaskets are designed for you. A special 3 ring system keeps cylinder pressure leakage from failing the gasket body. Machining is required. 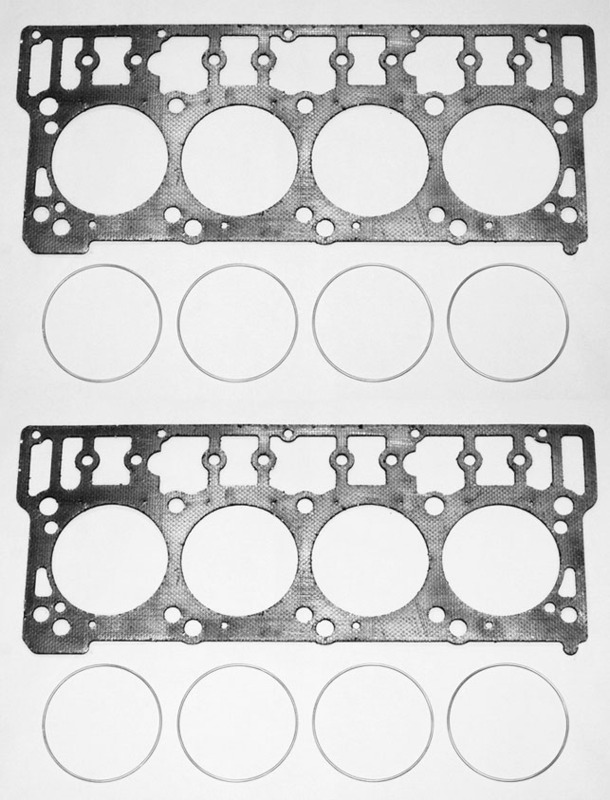 This gasket kit is reusable and will take in excess of 140 psi of boost. Works with 18 mm & 20 mm dowels Gasket is supplied as 18 mm dowel. Just snap the 3 tabs off for 20 mm dowel. Gasket bodies are made from steel sheet and covered in graphite composite material with 3 piece compbustion rings. Applications: 2003-2008 Ford F-Series pickup, Van and Excursion with 6.0L Power Stroke diesel. Includes 2 gasket bodies, 8 inner rings, 8 c-rings, 8 outer rings, gasket spray, and Do-it-yourself installation instructions. 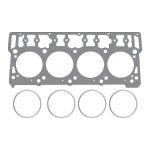 2008-2010 Ford 6.4L Power Stroke Performance Wire Ring Head Gaskets. No machining required, capable of running 500 plus BHP. Applications: 2008-2010 Ford F-Series pickup with 6.4L Power Stroke diesel. 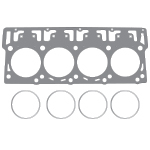 2008-2010 Ford 6.4L Power Stroke Competition Head Gaskets. Machining required, capable of running 1500 plus BHP. Cast aluminum valve covers to replace those rusty old ones. These were designed for our inline pump application but due to requests we have made them to replace the factory steel pieces. These can be polished for that custom under the hood look. 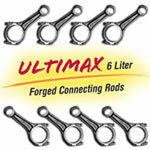 Utilizes the factory harware and valve cover harnesses.